... this is why the quality of our company is an integral part of our corporate culture. In every respect our modern and dynamic quality management system meets the requirements of EN ISO 9001:2008. From communication with our customers about the organization and implementation of projects to the maintenance of our systems / products is the focus of our quality philosophy. 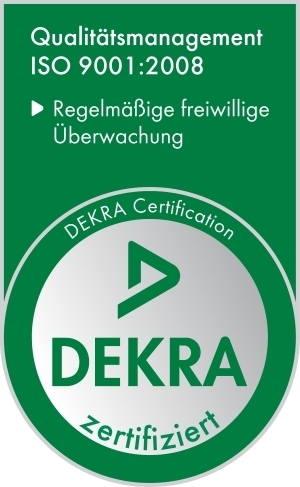 Since 25 November 2010 is our quality management system officially tested and certified by DEKRA. For more information about our quality management system, you can download the certificate as a PDF file.